Give your product the marketing edge it needs through our highly stylish and fully customizable custom printed band sleeves at Business Image Printing. For all kinds of products our custom printed band sleeves can help significantly improve the overall look of your product’s packaging with very little effort involved on your part. It’s amazing how such a simple addition to your product’s packaging can add so much style and creativity to your product all at a price that won’t devour your wallet. Print anything you’d like onto any design you’d like for your custom printed band sleeve from important information to your unique company logo or mascot. Simply give us your specifications and any additions you’d like to include with your product such as special UV coating or foiling and you can have your very own custom printed band sleeve at your doorstep in no time at all. With excellent customer service you can be assured that our staff is fully willing to comply with and solve any special request or issue you may have at hand. 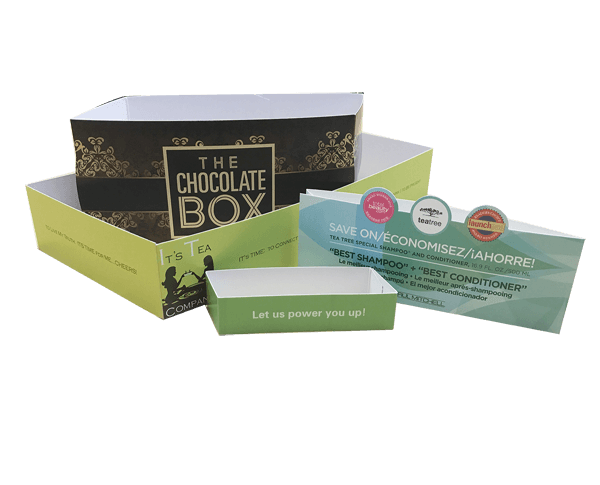 In other terms our custom printed band sleeves are a simple, inexpensive, and effective way of getting your product’s packaging to catch the eyes of customers or clients alike. Give us a call or email us at Business Image Printing and we can immediately get you started on the design process of creating your custom printed band sleeve complete with box templates, custom designs, and much more, If you’re looking for a way to make your product’s packaging look even better, then our custom band sleeves are the way to go. For more information regarding any special additional features such as spot UV coating, hot stamp foiling, or embossing, feel free to contact us for more details.